The Knowledge 1 Learning Series lesson plans are tied to the knowledge, skills, and abilities outlined in NFPA 1033, Standard for Professional Qualifications for Fire Investigators. Each Knowledge 1 Lesson Plan identifies the purpose of the module, outlines the learning objectives, and identifies the learning materials that are to be covered for the lesson. The number of credit hours awarded is based on the amount of learning materials that are to be reviewed prior to taking the examination. The course examination is drawn from a test bank and consists of randomized multiple choice and true-false questions developed directly from the support learning materials. This module is a prerequisite for more advanced IAAI Fire Dynamics courses and training programs. To follow the Competency in Fire Dynamics Curriculum, click here to access the lesson plan. Read the Learning Materials listed in the curriculum. Once you have studied the material, click here to pay the examination fee and take the Fire Dynamics Examination. The Examination Fee is US$60 for IAAI Members and US$200 for Non-members. Your examination will be activated on CFITrainer.Net® and an email with testing instructions will be sent once the fee has been processed. The Competency in Motor Vehicle Fires module is designed to serve as a foundational course, introducing students to the fundamental aspects of motor vehicle systems and motor vehicle fire investigation as outlined in NFPA 921, Guide for Fire and Explosives Investigations. 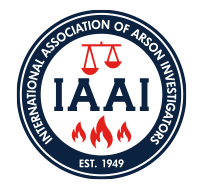 This course will serve as a prerequisite to the IAAI-Motor Vehicle Fire Credential Endorsement Program. To follow the Competency in Motor Vehicle Fires Curriculum, click here to access the lesson plan. Once you have studied the material, click here to pay the examination fee and take the Motor Vehicle Fires Examination (see link in blue bar). The Examination Fee is $ 60.00 for IAAI Members and $200.00 for Non-members. Your examination will be activated on CFITrainer.Net® and an email with testing instructions will be sent once the fee has been processed. The Competency in Personal Protective Equipment module is part of the Health and Safety Series and is designed to ensure fire investigators have a fundamental understanding of the guiding documents outlining personal protective equipment and an understanding of the regulations governing their use. NOTE: This course should qualify for refresher training for those that need 4-8 hours of annual health and safety training to maintain certifications or credentials. Check with local authorities having jurisdiction to confirm. To follow the Competency in Personal Protective Equipment Curriculum, click here to access the lesson plan. Read the Learning Materials listed in the curriculum. Once you have studied the material, click here to pay the examination fee and take the Personal Protective Equipment Examination. The Examination Fee is $ 60.00 for IAAI Members and $200.00 for Non-members. Your examination will be activated on CFITrainer.Net® and an email with testing instructions will be sent once the fee has been processed.